FREMONT, CA — December 24, 2016 — Aureus Tech Systems makes it to CIO Review’s top SharePoint Solution Providers list for its expertise in flexible delivery model providing on-premise as well as outsourced solutions that can effectively adapt to cost effectively to clients’ specific needs. Annual list showcases the 20 Most Promising SharePoint Solution Providers 2015. The positioning is based on evaluation of Aureus Tech Systems’ specialties in providing cost effective and efficient SharePoint Workflow Solutions for Smart Enterprises .The annual list of companies is selected by a panel of experts and members of CIO Review’s editorial board to recognize and promote Technology entrepreneurship. The team at Aureus identifies the SharePoint implementations and the manual and semi-automated workflows within an enterprise to formulate solutions to optimize its operations using SharePoint workflow capabilities as an enabler. 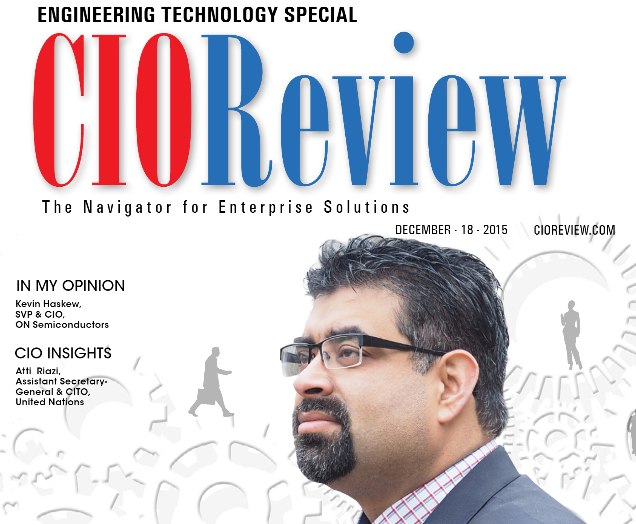 CIO Review constantly endeavors to identify “The Best” in a variety of areas important to tech business. Through nominations and consultations with industry leaders, its editors choose the best in different domains. SharePoint Special Edition is an annual listing of 20 Most Promising SharePoint Solution Providers in the U.S. For more information, visit the website at CIOReview. Aureus Tech Systems gained a foothold in the IT consulting industry by strategically positioning itself as a SharePoint-based workflow solutions provider. It is a technology solutions partner, trusted by over 20 customers and counting. The company 100% focused on clients’ business, delivering practical solutions that optimize the IT investments by improving processes and maximizing revenue potential. For more information, visit: Aureus Tech Systems.